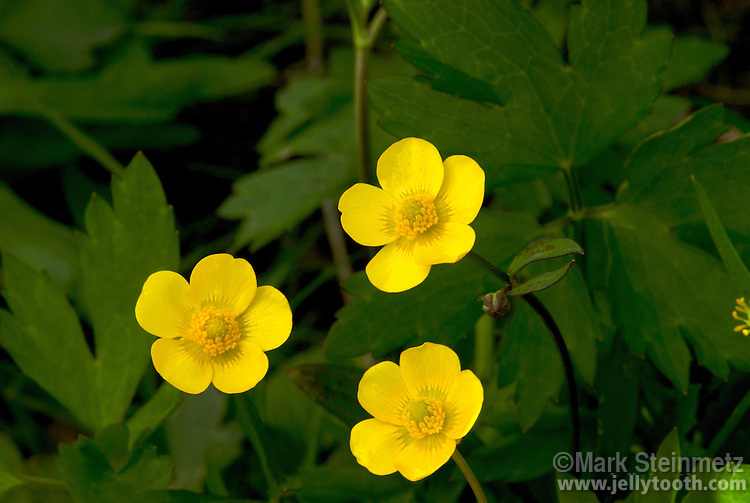 Swamp Buttercup (Ranunculus hispidus var. nitidus). Formerly classified as a separate species (Ranaunculus septentrionalis), but is now a recognized subspecies of the Hispid Buttercup. Found in moist or wet woods, and swamps. Native to eastern North America. Franklin County, Ohio, USA.